Get a sneak peek at Darth Vader #24 and look back at the series' finest moments. 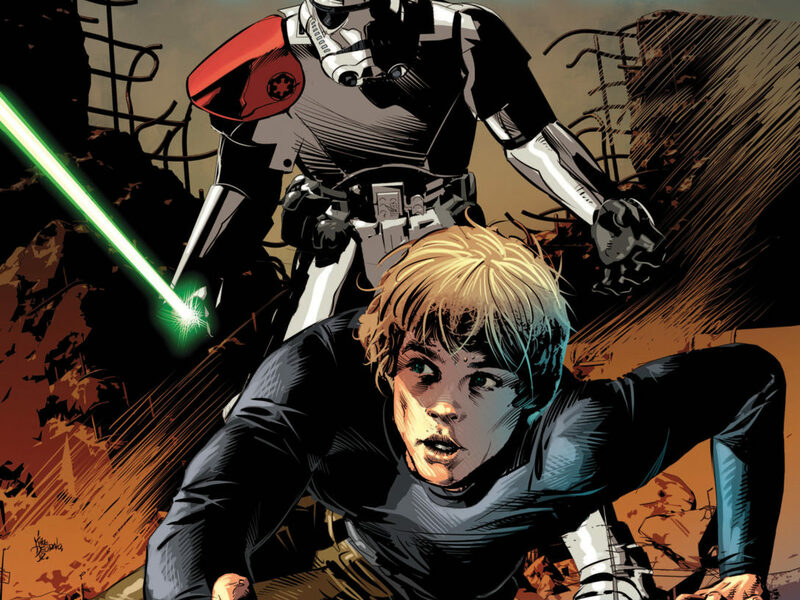 Even though there were no new Star Wars comics last week, there is still plenty of fun to be had in the funny books. 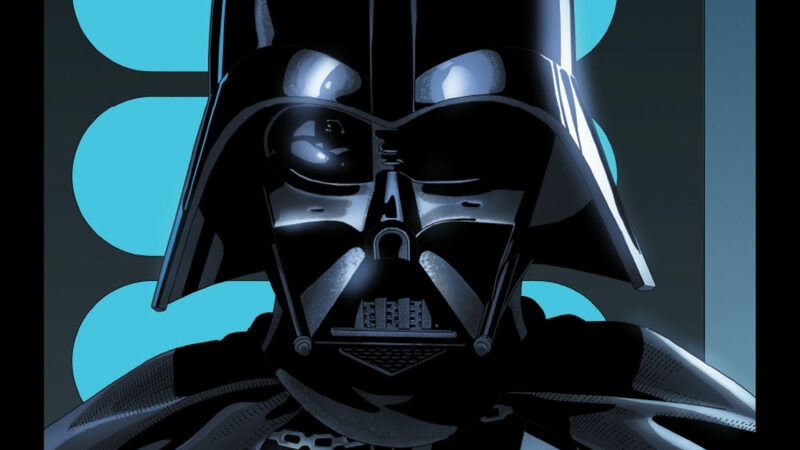 Comic Book Galaxy is here, as we gear up for Darth Vader #24 and reflect on our favorite moments from this epic series. Well, we’ve got this week to look forward to! The penultimate issue of a popular, landmark series. Issue # 23 continued to build the dramatic tension as Darth Vader faced off against Morit for the last time on the surface of the Super Star Destroyer, the Executor. 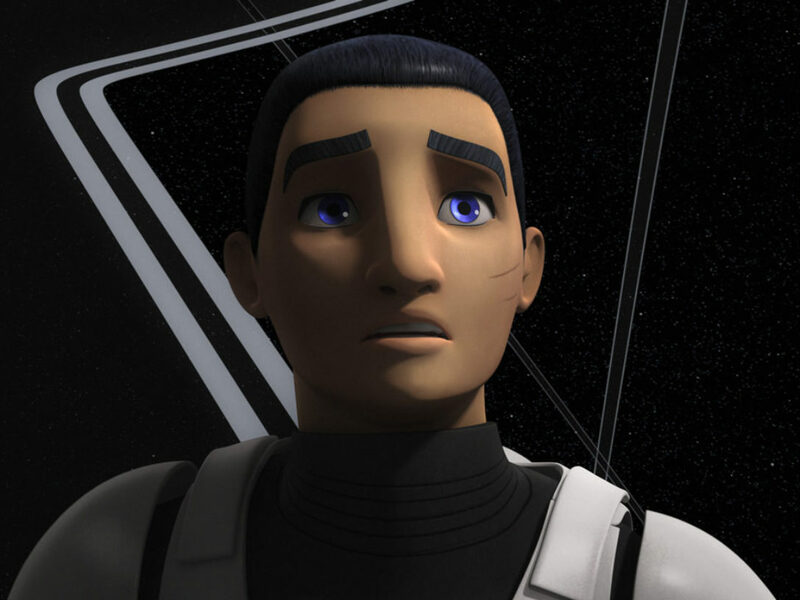 Dr. Aphra came to the realization that in order for her to redeem herself in the eyes of Vader (because that always works out), she will lead a rescue mission of the Emperor aboard the Executor. Accompanying her, of course, is the lovable duo of Triple Zero and Beetee, with the Wookiee bounty hunter Krrsantan completing this motley crew. 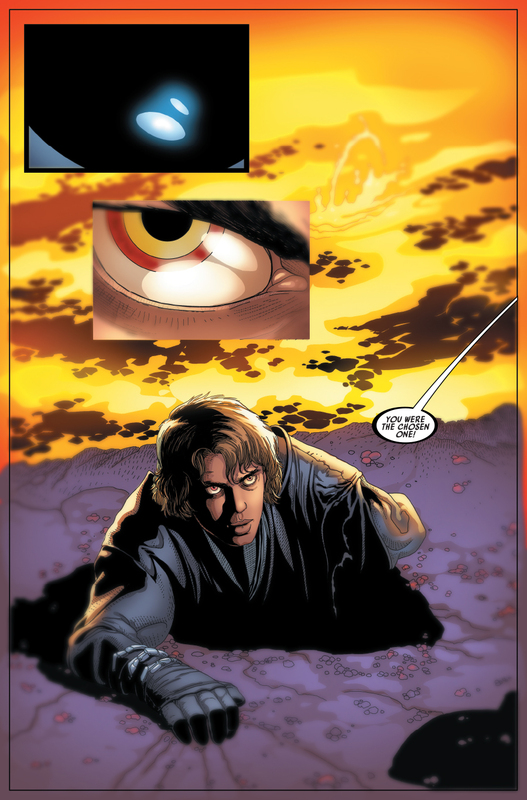 And how could we forget that cliffhanger: Vader is forced to kneel at the foot of Cylo, due to the remote control he theatrically revealed at the end of the issue. For Cylo’s sake, let’s hope he doesn’t run out of batteries for that thing, because it’s a safe bet the Dark Lord is not going to be too happy. 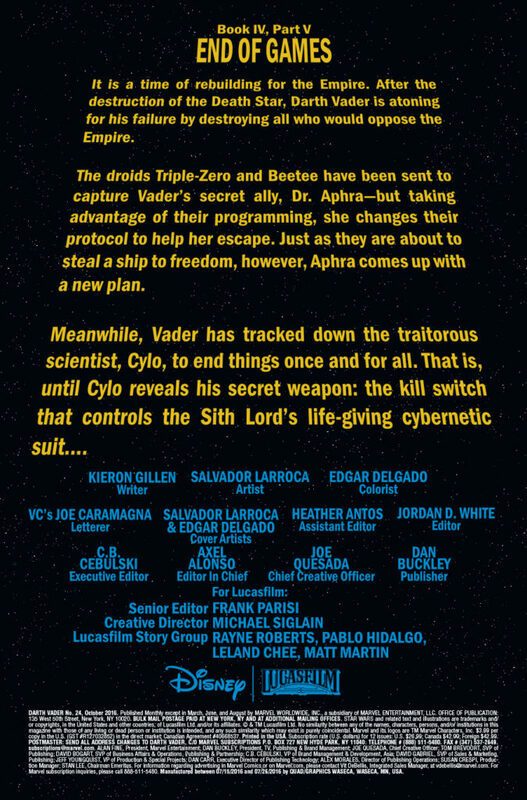 With only two issues of Kieron Gillen and Salvador Larroca’s Darth Vader left, you might feel a bit empty inside (similar to Triple Zero’s soul). You certainly are not alone in that sentiment either. 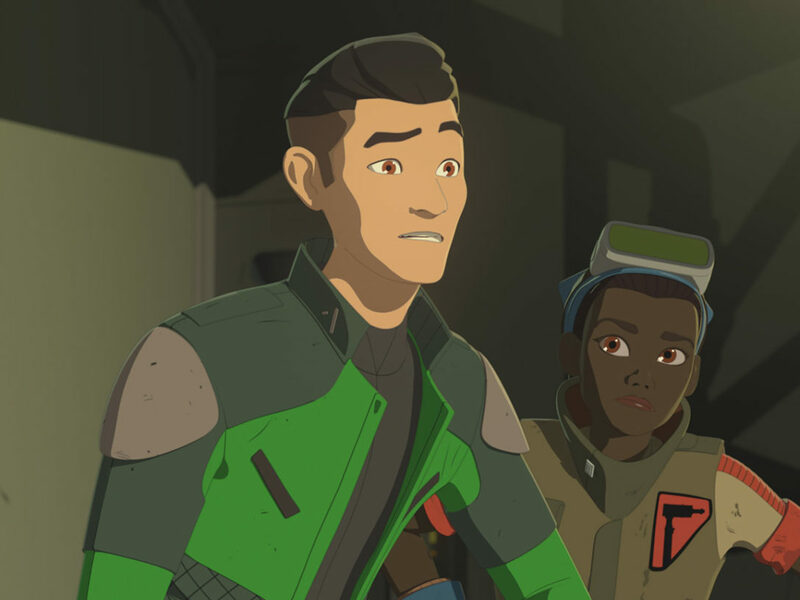 The series has offered a number of incredible moments, introduced unforgettable characters, and revealed a few more insights into the psyche of Darth Vader. 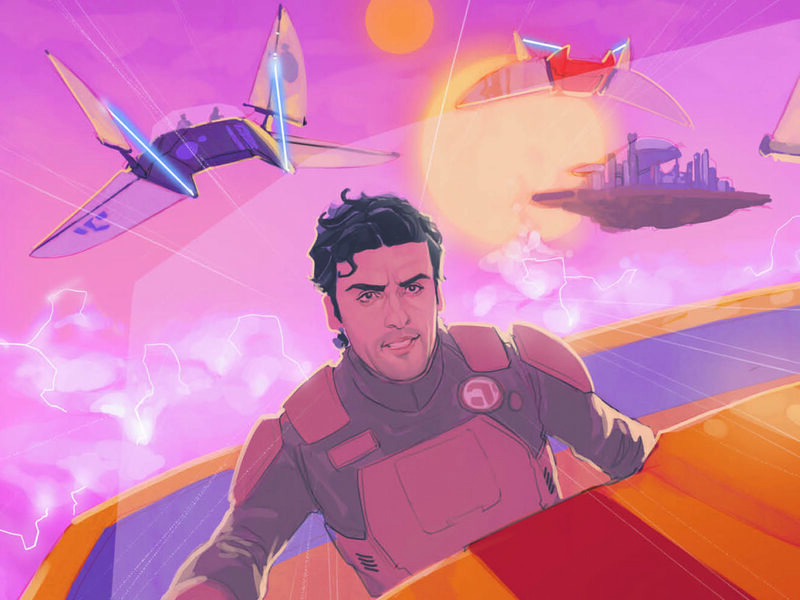 While this is by no means a definitive list, here are a few highlights that Gillen and Larroca have provided for Star Wars fans that are sure to be talked about for years to come. 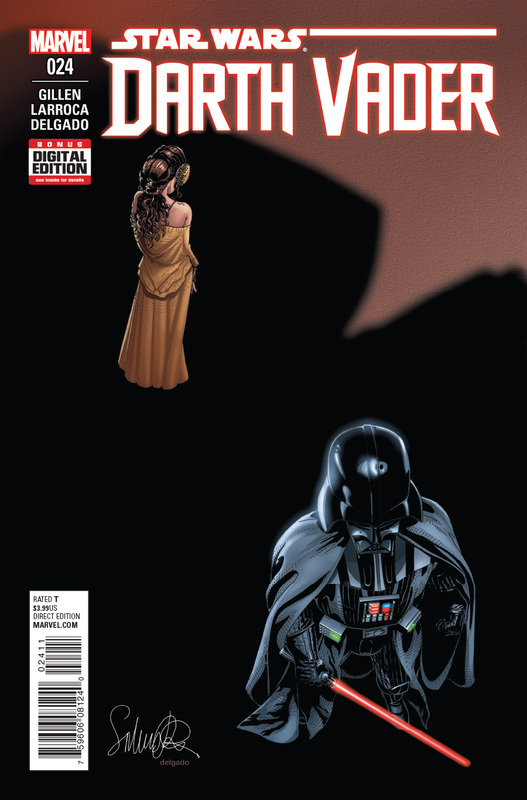 Darth Vader #4: Dr. Aphra lets Vader know she realizes her fate has been decided. Dr. Aphra was introduced in issue #3, but it is her dialogue in issue #4 that stands out. Vader decides to spare her for “as long as she is useful.” Aphra does not mince words with him. She knows Vader’s use for her is limited, and asks for a quick death (that she won’t see coming) when he feels the time is right for her. This is certainly something Vader is not accustomed to, as the begging usually goes the other way. This may be the most talked about moment of the series: Vader is told by Boba Fett the name of the pilot who destroyed the Death Star: Skywalker. Vader says nothing, but his actions certainly do. 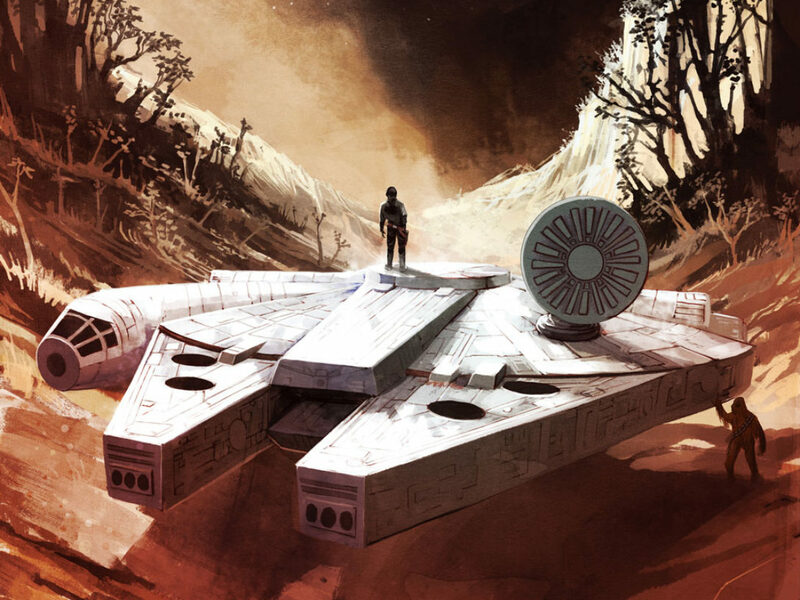 He clenches his fist, cracks the viewport of the Star Destroyer (which is not easy to do, and don’t think I haven’t tried), and machinery around him is destroyed. Vader’s years of self-loathing has a new focus beyond himself: the betrayal of Palpatine. The galaxy had better buckle up. Vader Down #1: A battle royale for the ages. Darth Vader. 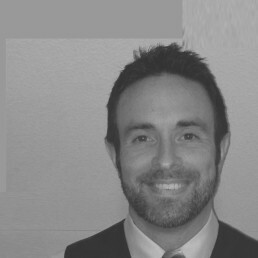 On Vrogas Vas. Without backup, facing the might of the Rebel fleet. In other words, the Rebels don’t stand a chance. One quote by Vader says it all: “All I am surrounded by is fear. And dead men.” ‘Nuff said. 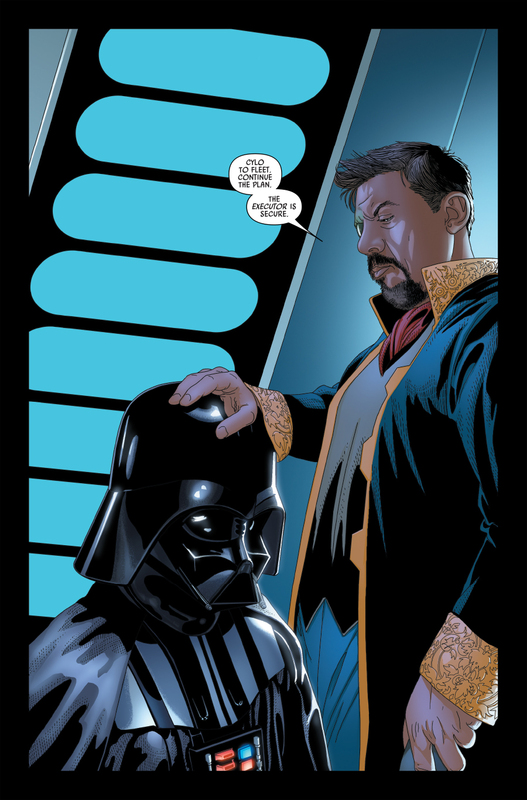 Darth Vader #20: Vader and the Emperor have an unforgettable conversation. 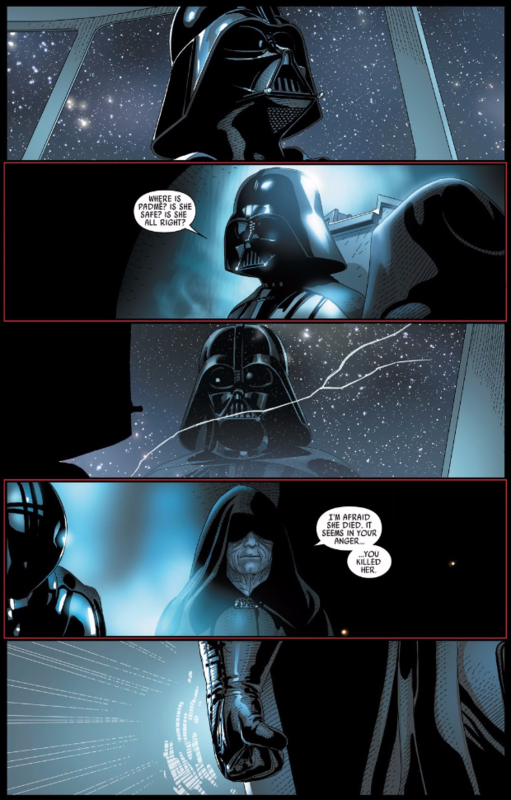 The Emperor and Vader have a heart to heart, as only these two fearsome Sith Lords could. 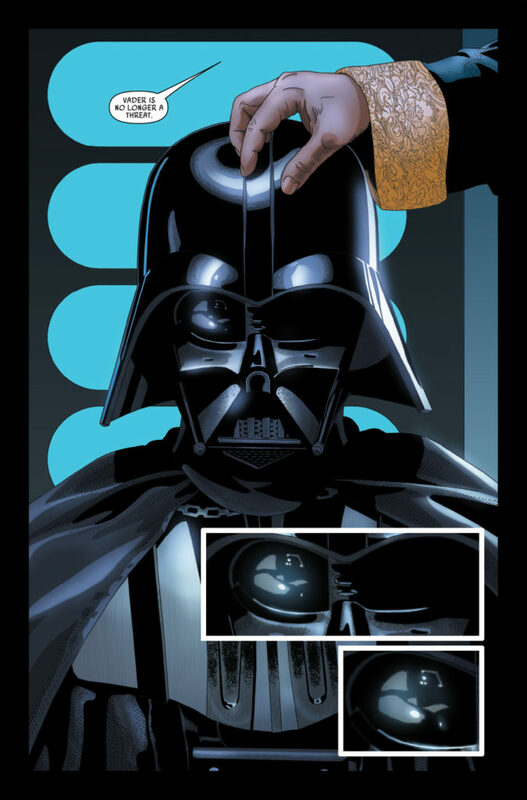 All cards are on the table as Vader learns of the Emperor’s plan for both him, and the future of the Empire. We see moments of vulnerability for both characters, as well as a more thorough understanding of their connection to one another. 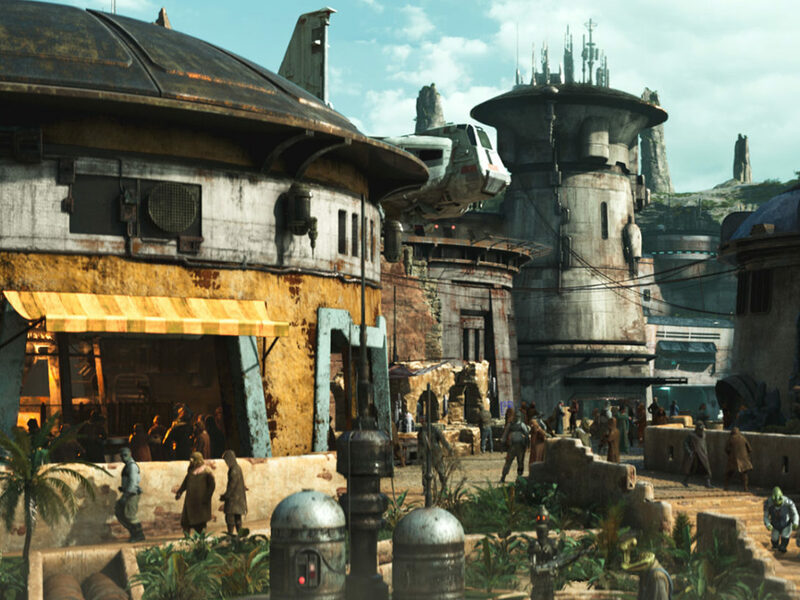 It’s another example of the fresh look Darth Vader has provided comic book readers. Darth Vader #22-23: Vader vs. Cyber-rancor and some other fun stuff. The series has given many examples of Vader’s formidable ways in combat, but his battles with a cybernetically-enhanced rancor, as well as his fatal confrontation with Morit are among the very best. 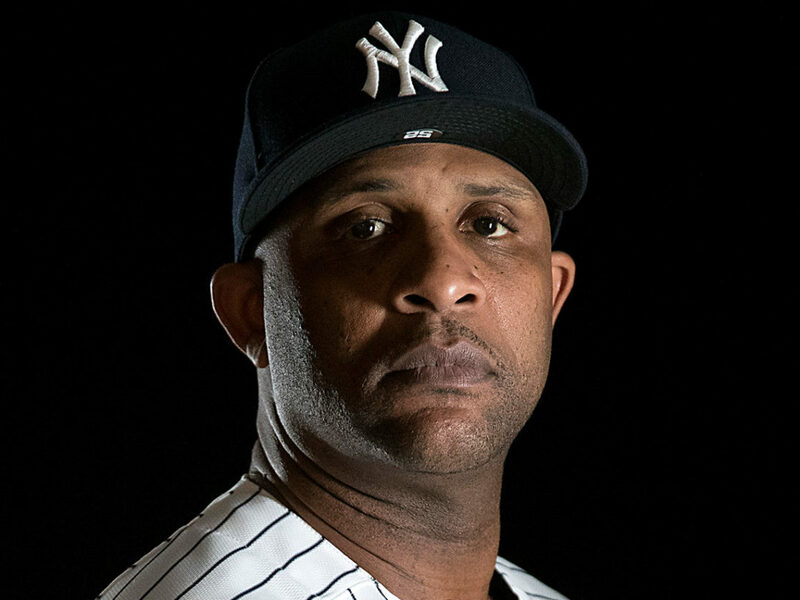 Whether he’s launching a lightsaber Olympic style, or Force pushing a villain off the surface of a Super Star Destroyer, he sure knows how to show his enemies a good time. Not for them, of course. And this is just the tip of the iceberg. What else belongs on this list? 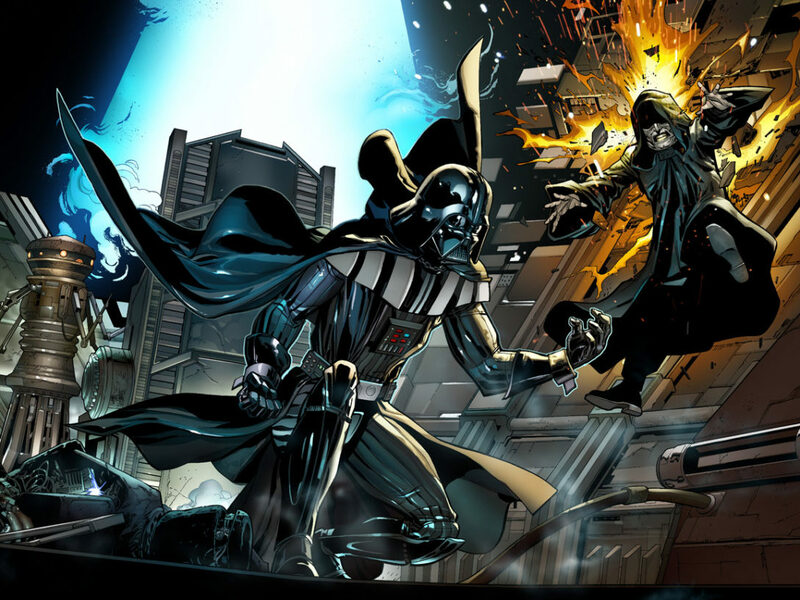 More of Darth Vader at his Sith best ? 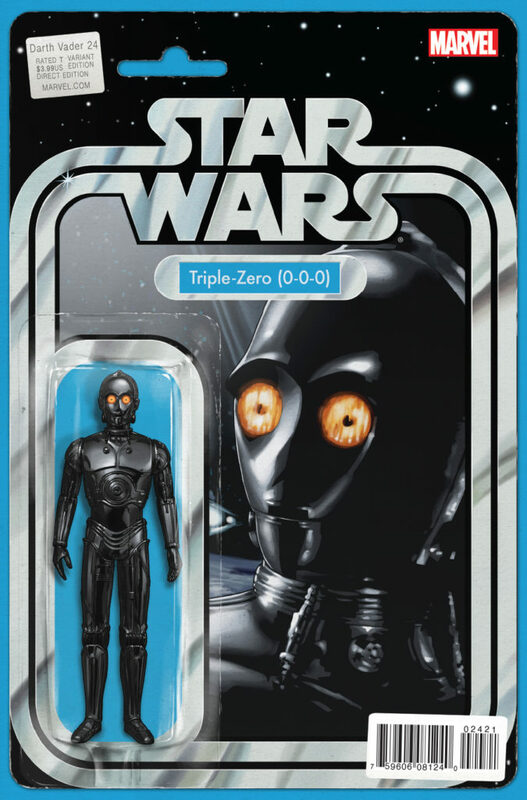 Any Triple Zero or additional Dr. Aphra moments stick out? Let us know in the comment section below!